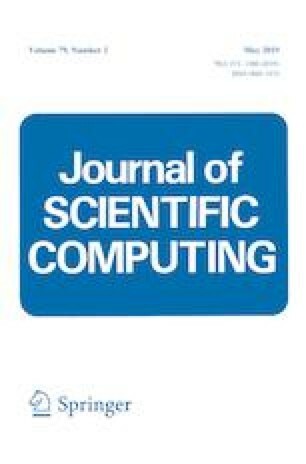 In this paper, we develop a fast algorithm for solving an unconstrained optimization model for uniform noise removal which is an important task in inverse problems. The optimization model consists of an \(\ell _\infty \) data fitting term and a total variation regularization term. By utilizing the alternating direction method of multipliers (ADMM) for such optimization model, we demonstrate that one of the ADMM subproblems can be formulated by involving a projection onto \(\ell _1\) ball which can be solved efficiently by iterations. The convergence of the ADMM method can be established under some mild conditions. In practice, the balance between the \(\ell _\infty \) data fitting term and the total variation regularization term is controlled by a regularization parameter. We present numerical experiments by using the L-curve method of the logarithms of data fitting term and total variation regularization term to select regularization parameters for uniform noise removal. Numerical results for image denoising and deblurring, inverse source, inverse heat conduction problems and second derivative problems have shown the effectiveness of the proposed model. Xiongjun Zhang: Research supported in part by the National Natural Science Foundation of China under Grants 11801206, 11571098, 11871026, Hubei Provincial Natural Science Foundation of China under Grant 2018CFB105, and Self-Determined Research Funds of CCNU from the Colleges’ Basic Research and Operation of MOE under Grant CCNU17XJ031. Michael K. Ng: Research supported in part by the HKRGC GRF 1202715, 12306616, 12200317 and HKBU RC-ICRS/16-17/03. The authors would like to thank the anonymous referees for their constructive comments and suggestions that have helped improve the presentation of the paper greatly.